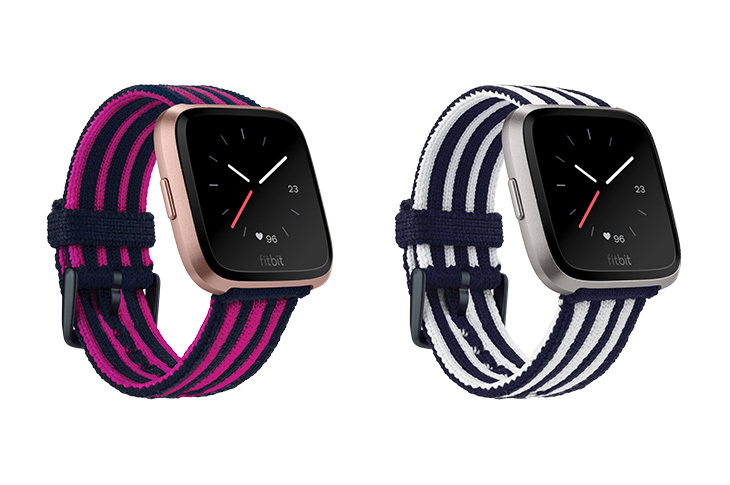 Ok, so they're just watchbands: an accessory. Still, there's a lot to be said for the subject, and it's not every day a higher-end designer starts to make products for something so niche, especially now that so many smartwatches use proprietary bands. You can't always use just any old strap with a spring bar, and so far as we can tell, the Versa straps do need a bit of a taper to fit. The real reason to consider one of these, though, is the materials. 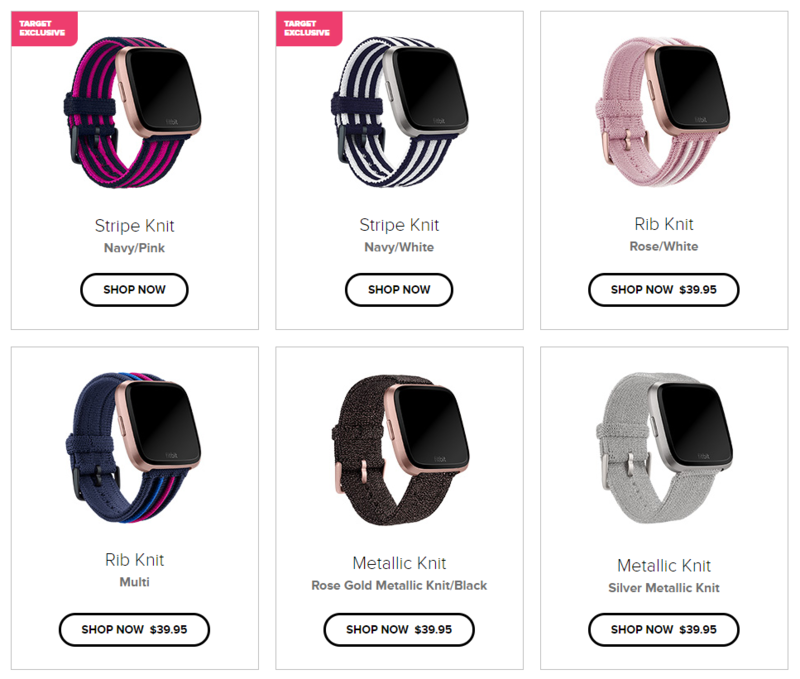 All the straps designed by PH5 are knits, which is pretty cool. That means they're all one piece, with no seam. Colors include a Target-exclusive striped, stretchy polyester and spandex knit in pink/navy and navy/white; a metallic knit made from Japanese Kyotex Lurex yarn in rose gold/black and silver; and a ribbed knit in "rose/white" and navy/pink/blue. They're $39.95 each, and pretty snazzy. These designer straps aren't quite so durable as the stock silicone/TPU bands, though, so Fitbit doesn't recommend you wear them while working out or swimming. The full collection can be examined here, if you're interested. 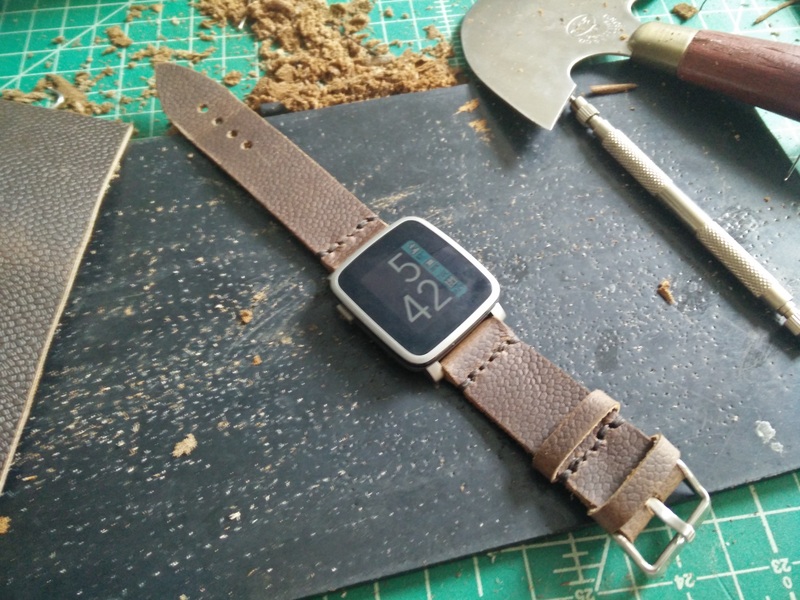 Of course, you can always make your own watch straps (I did), but it is quite a bit more work.